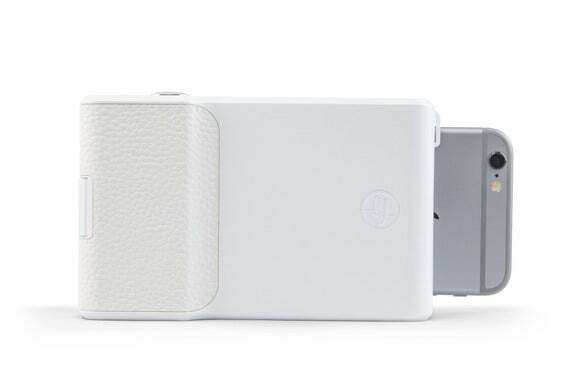 This case spits out mini photo prints that hold a surprise. Are you still shooting photos and videos with your iPhone and sharing them separately via email and social networks? That’s about to become so 2015. 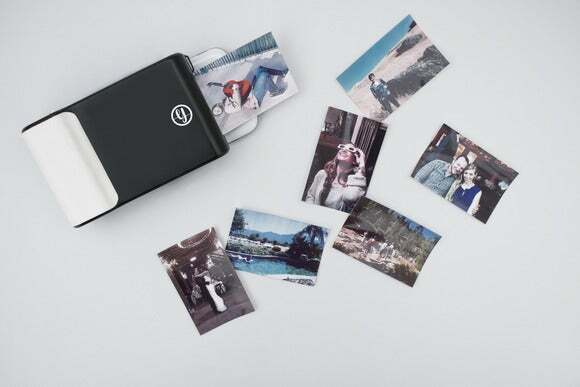 Prynt is a smartphone case with a built-in photo printer, spitting out mini snapshots you can hold in your hand, but that’s not all. As you and your friends pose for photos, the Prynt app records a six-second video linked to that photo and stores it in the cloud. Then when you point another smartphone at the printed photo, it scans the image like a QR code and plays back the video via augmented reality, making it look like the photo is coming alive on your screen. Thanks to adapters, the Prynt case fits the iPhone 6s, 6, 5s, 5c, and 5 as well as the Samsung Galaxy S5 and S4. In addition to on-the-spot shooting, it also lets you print existing photos from your social media accounts or Camera Roll. To print an existing photo, the app will also record a video, and offers in-app editing with filters and frames. Photos take about 30 seconds to print. The video only lives inside the physical photo. It cannot be saved and uploaded to Instagram or anywhere else, in order to preserve its uniqueness and connection with the original paper shot. The unit needs no batteries or ink. Prynt’s 500mAh lithium-ion battery is charged via USB and images are printed using thermal technology on paper with embedded ink. The case holds 10 sheets and refills are available via the app, where a 50-pack costs $25. Prynt comes in white or black. Why this matters: Despite the lure of quick-sharing digital photos, most people still delight in instant pictures they can hold in their hands, carry in their wallets, paste on the fridge, or even put in a frame. Prynt offers even more options by adding augmented reality video. Prynt is available today in the U.S. and Europe for $149, and the company says that U.S. orders placed by December 17 will arrive by Christmas.